It's funny... I've played so many guitar amps that I thought were the ones for me! But that wasn’t the case until I had the opportunity to play the TriAmp Mark 3. 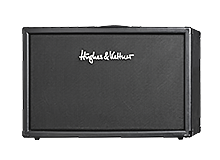 The amp has the brutal character I'm looking for, a guitar tone that will crush all its opponents into submission. If I'm trying to obliterate people with crushing force or trying to shred them into nothingness... I choose the TriAmp! Joss is a self-taught guitar player/YouTuber and guitar clinician from Brighton, England. 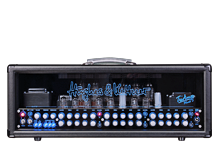 Joss has been part of such YouTube channels as The Guitar Amp and Keyboard Centre (GAK) and also Andertons TV, presenting and playing on both channels. He's now doing his own channel, Guitar Bros Demos. 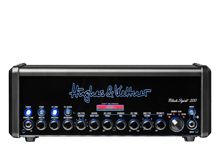 Joss has been doing events and clinics with Hughes & Kettner for a while now so it was a perfect fit for both Joss and Hughes & Kettner to start working together.